Cact. & Succt. J. (US) 15:88-89, 1943. 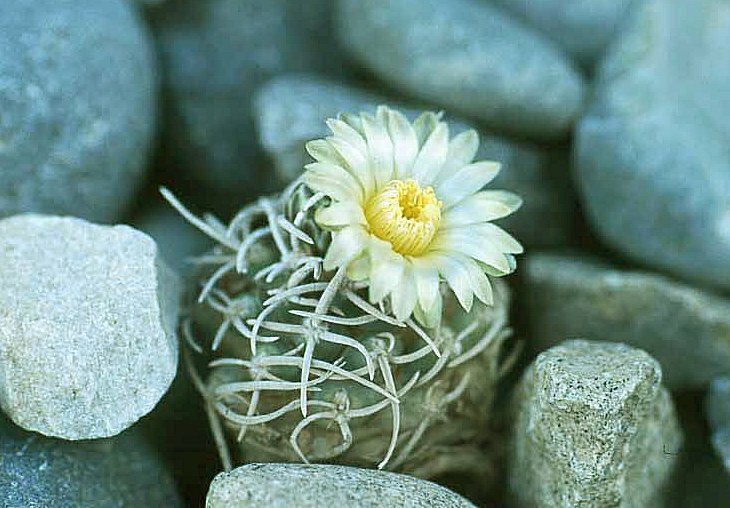 Toumeya peeblesiana (Croizat) Marshall, Cactus (Paris, France)1:5, 1946; Cact. & Succt. J. (US) 19:17, 1947. Echinocactus peeblesianus (Croizat) L. Benson, Cacti of Arizona, ed. 2,108, 1950. Pediocactus peeblesianus (Croizat) L. Benson, Cact. & Succt. J. (US) 34:58, 1962. Utahia peeblesiana (Croizat) Klawida in Krainz, Sukkulentenkunde, Lieferung 40. CVIIb.1969.